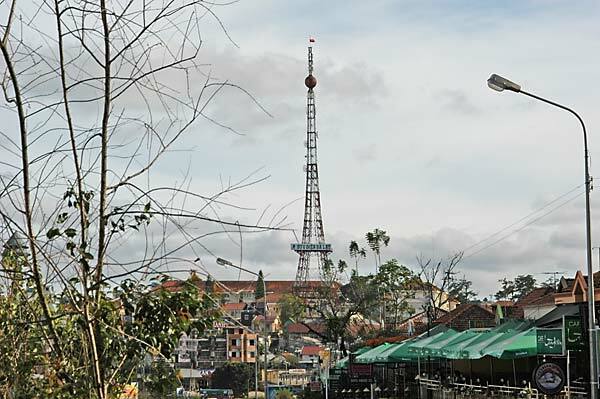 Dalat, once called, by whom I don't know, Le Petit Paris, keeps their replica Eiffel Tower in good shape. 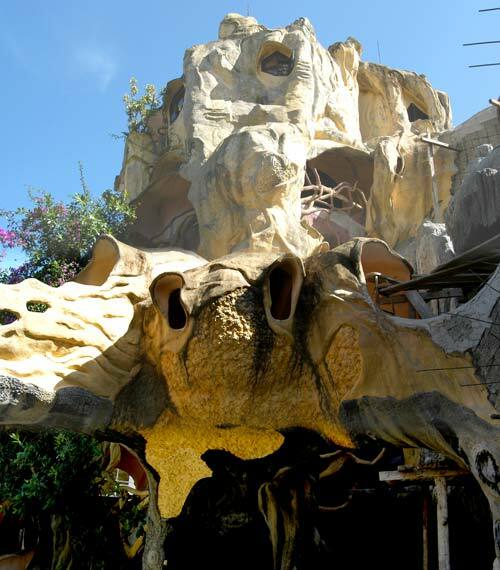 Before leaving Nha Trang I booked a hotel in Dalat based on the recommendation of Lonely Planet and some folks I met on the boat tour. It was a big fat bummer place (the first bad bed in Vietnam and I think they think the suffocating pervasive smell of lysol will make people think it's clean) but anyway I felt obliged to stay the one night. 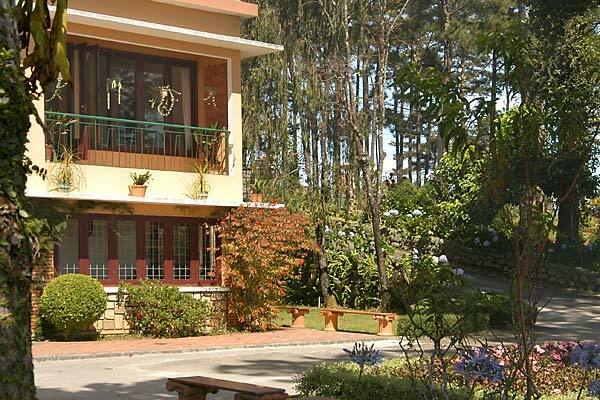 ...and found this perfect hill top street of beautifully maintained villas. These are all villas built for I'm thinking mid-level bureaucrats and in these capitalistic/socialist times, they rent the rooms to tourists from the cities. 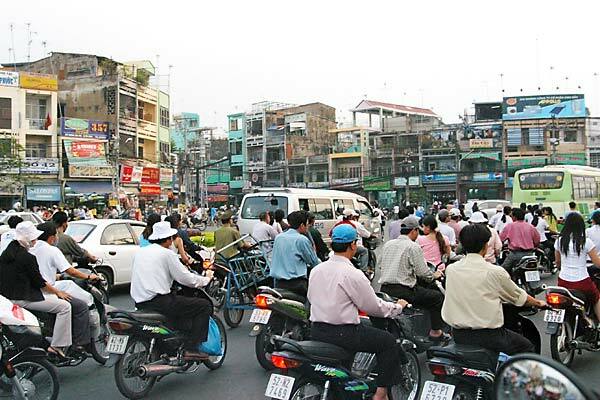 I haven't seen any other gringos and there is no English anywhere except to the extent that most Vietnamese speak serviceably. No English on the TV or menus for example, but the staff will happily explain. 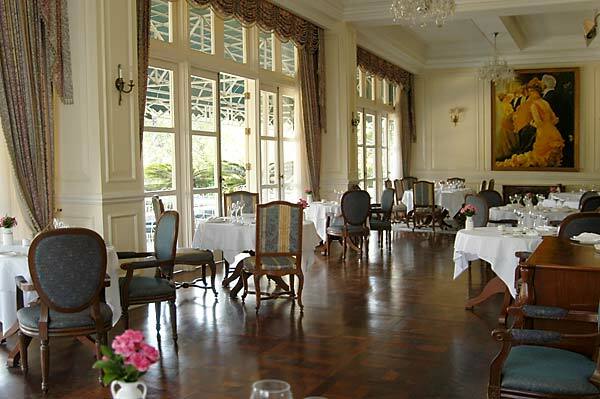 The room there with all the floor to ceiling windows and the veranda is mine. 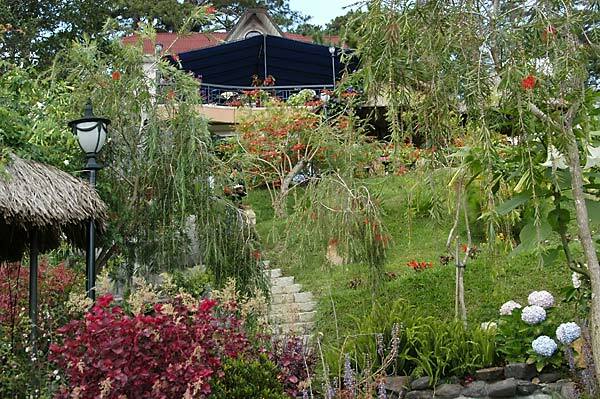 It is bright and welcoming inside with views over a gorgous garden (for $10(!) too). A word of warning though, I did look at all the other rooms and mine was by far and away the most lovely. 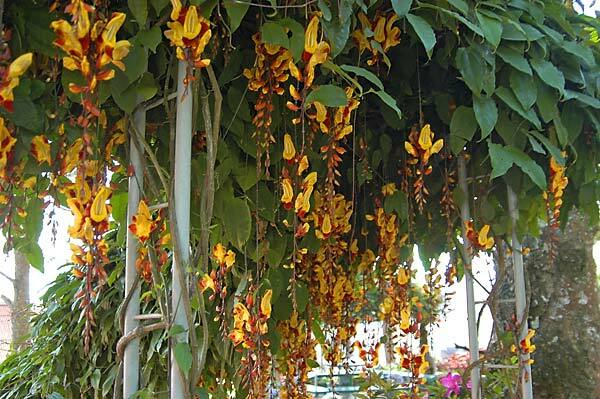 A very cool blooming vine. 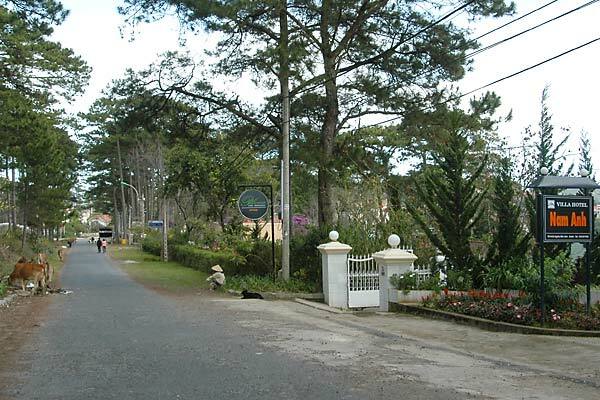 The villas, and across the street from the villas is a pine forest. The whole scene smells Great including the cows. 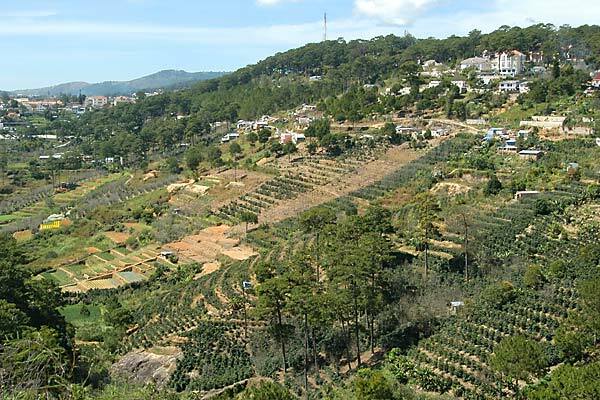 And views over the countryside where they grow many kinds of vegetables for export to the whole of the south. 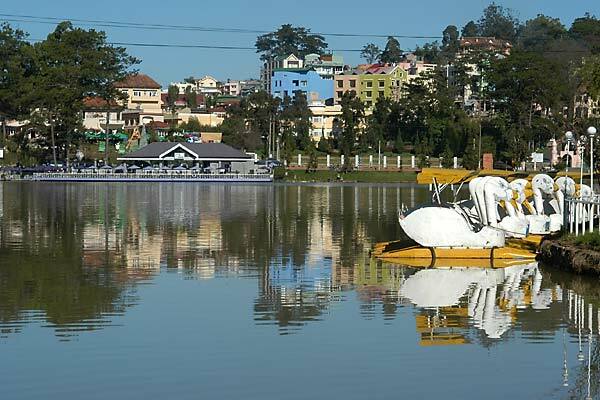 Some facts from Lonely Planet: Dalat hosts 800,000 domestic and 80,000 foreign tourists per year. 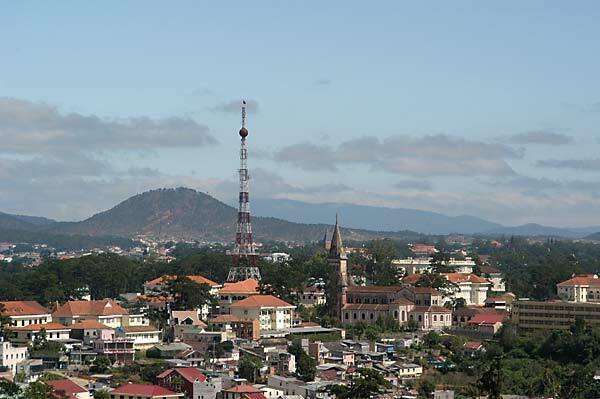 Neither side in the Vietnam War wanted to mess with Dalat since both sides were relaxing in their villas, and the weather is always cool and refreshing (the City of Eternal Spring). 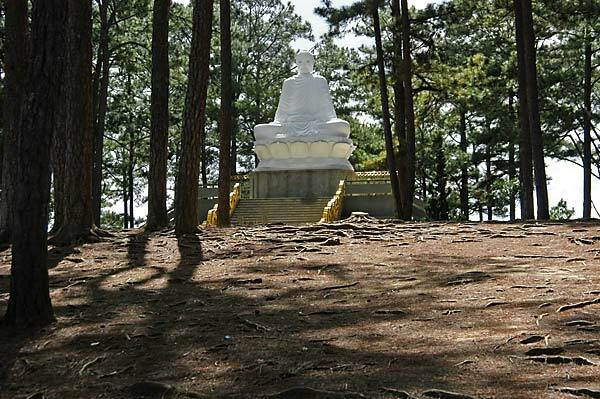 Another place, more big Buddhas. This is one of the cafe/restaurants on my street. There are seating arrangements all down the hill, more even below these, all with this rich landscaping. I was taking pictures around the place and these folks invited me to eat with them. Come! Eat! Eat! 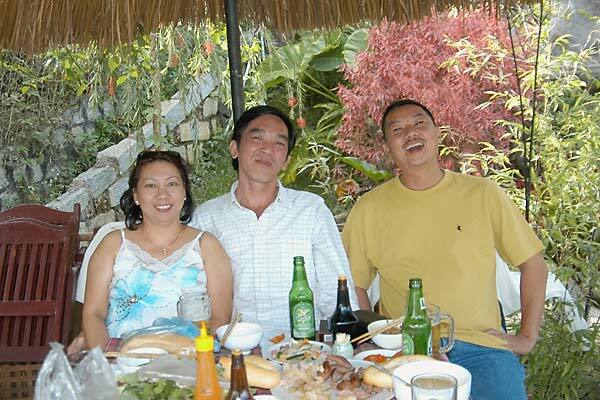 The woman is Vietnamese living in Australia for the last 15 years, here for Tet and to hook up with her boyfriend, the man in the white shirt. The man in the yellow shirt is the boyfriend's friend. She was one happy camper. They had bought all of this food in the market and put together quite a feast. Yummy and Fun. Beer was a-flowing don'cha know. 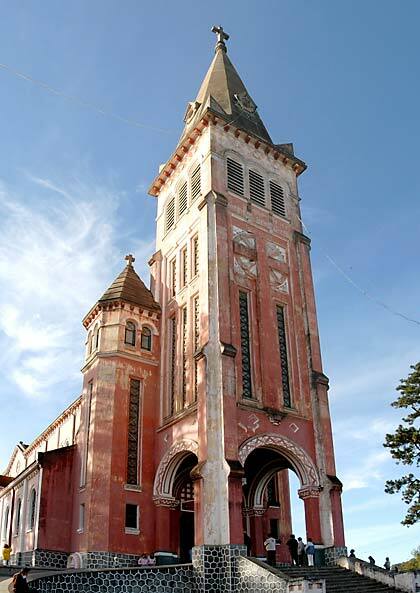 The Dalat Cathedral. I was there on a Sunday morning and the place was entirely full of parishioners and a crowd was standing outside the door. Cathedrals. Phewww. The back of the Cathedral and the back of the Eiffel Tower looking onto the lake that you can't see in this picture. 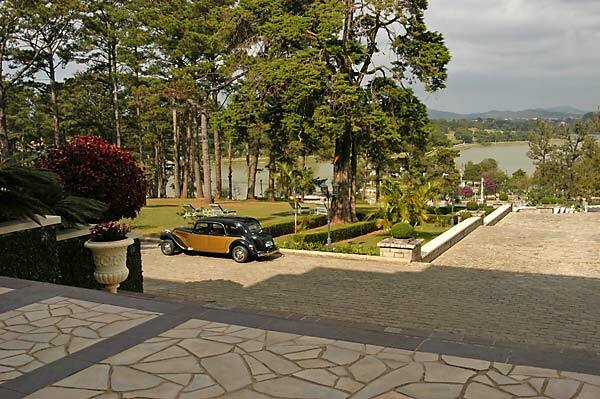 You can't very well have an elite retreat without a lake so in 1919 the French built a dam to create the requisite lake and the city grew up around it. I took a walk to Bao Dai's Summer Palace. 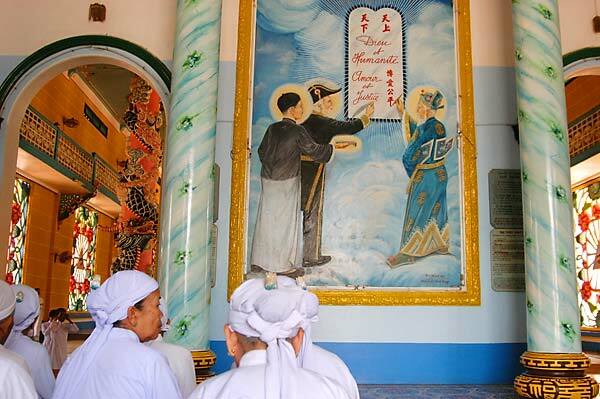 Emperor Bao Dai was the last royal to head a government in Vietnam. He abdicated in 1945 in favor of Ho and the Viet Minh and died many years later in France. I was most struck with the modesty of this place. 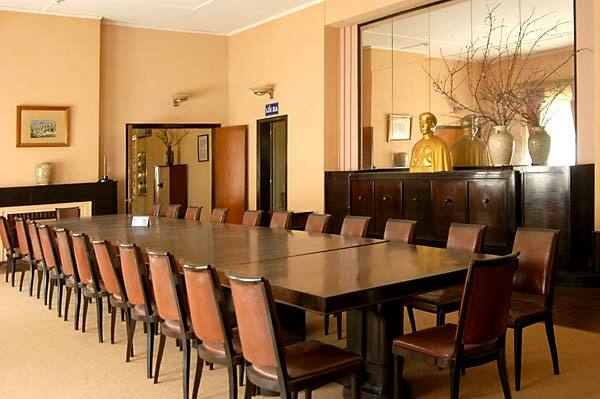 Many signs reported that everything was just as it was when Emperor Bao Dai and his family occupied the residence although after 1945 many government officials made use of the place. 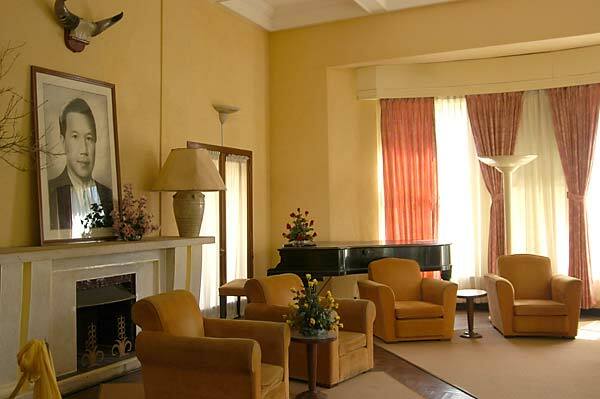 The rooms are large and well proportioned but still, an Emperor's palace, I wouldn't have guessed. Especially one designed by the French! 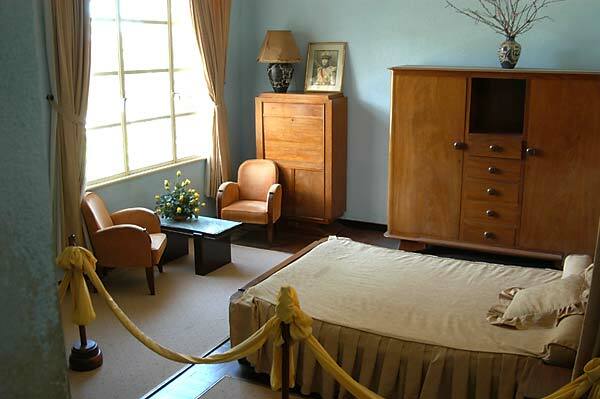 This is the bedroom of the Crown Prince. He lived here throughout his teens before going to France for college. Your kids have bigger rooms. And the other younger children shared rooms, two boys and two girls! 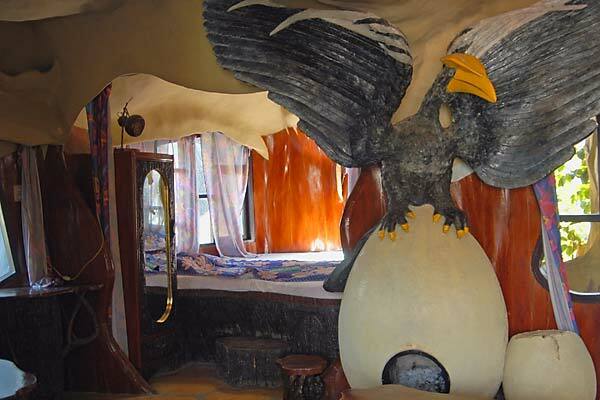 In a moment of whimsical contrast, let's have a look at this bedroom. 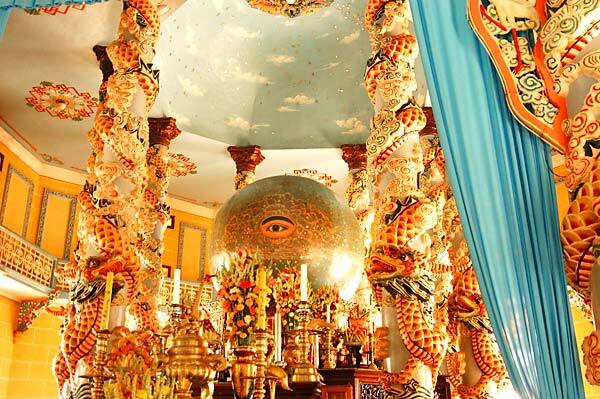 You can rent this room and others just as unlikely here at Hang Nga's Gallery and Guesthouse. An example of the staircases. 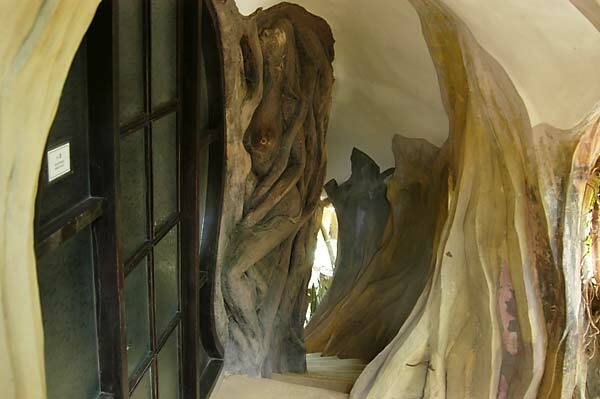 That woman you see carved by the door is extremely rare - a naked woman. 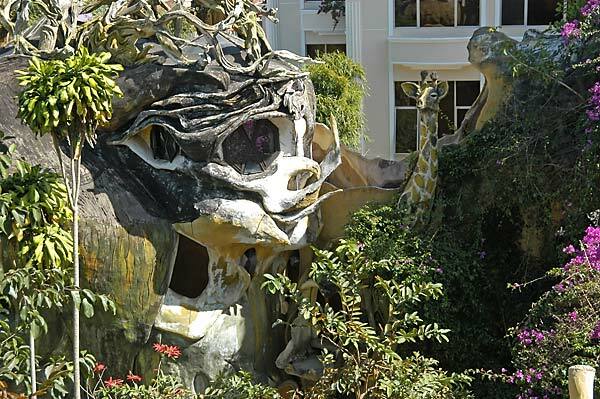 'The Dalat People's Committee has not always appreciated such innovative designs.' 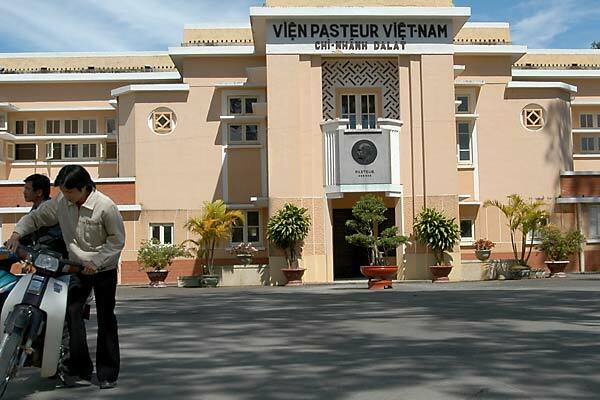 This place is supposed safe though, since the designer's father was Ho's successor and served as President until his death in 1988. A view from my walk down the hill this morning, a bit of Victoriana and the chalet village look. And here's our French made Xuan Huong Lake 'named after a 17th-century Vietnamese poet known for her daring attacks on the hypocrisy of social conventions and the foibles of scholars, monks, mandarins, feudal lords, and kings', with the requisite swam boats. I would like very much to read this poet's take on swan boats. 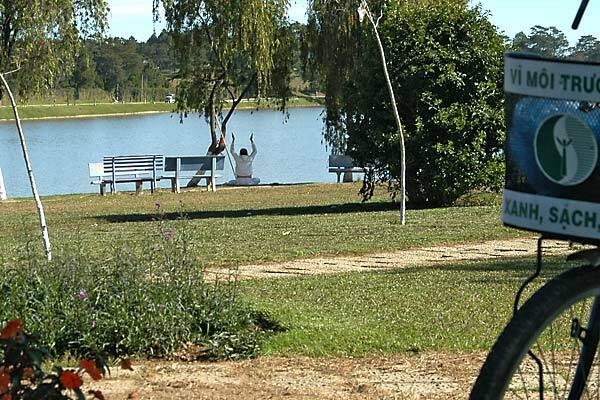 The man doing his exercises in the middle of the picture and what I take to be his bicycle. 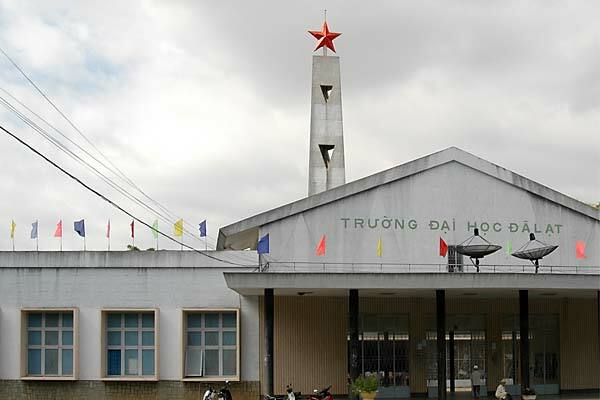 This is the central building of Dalat University, founded in 1957 as a Catholic university, closed by the communists in 1975, and reopened two years later as a state-run institution. Notice the red star over the 'steeple' which covers the original cross. The cross has not been removed causing the church to retain hope that they might one day get their school back. 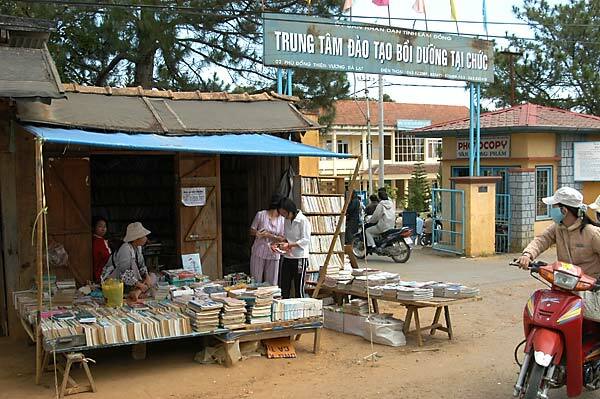 More than 13,000 students study here and English is a favored topic yet I have walked tens of miles through Dalat and have not found one single book in English. This is very odd. 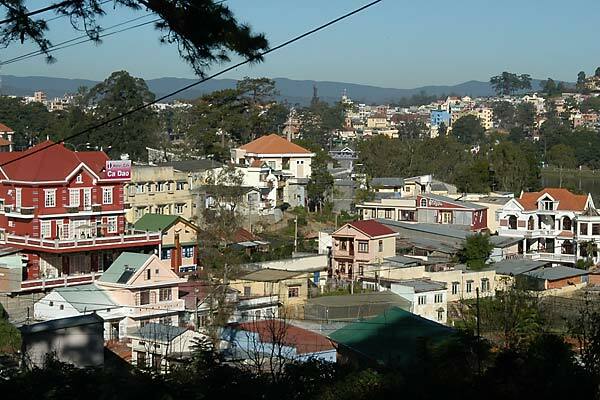 Dalat has the reputation for attracting academics and intellectuals and yet it does not have a single bookstore noted in the travel guides. I am a bit confused by this since in every other city books and newspapers were easily available. 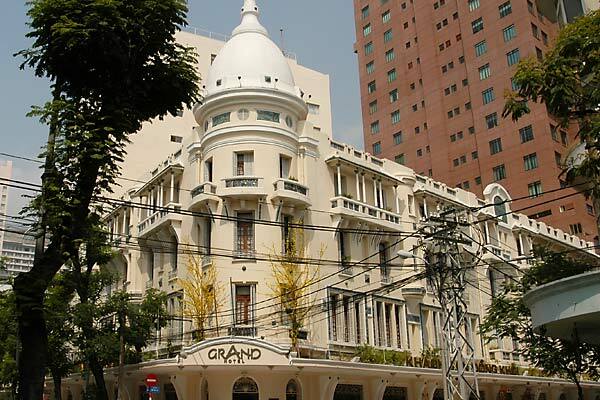 But then I did pay more than $3 for an International Herald in HCMC and for 20-30 cents an hour you can read all the newspapers on the internet. How ya gon'na keep 'em red read after they've got the internet? Like always, I was in search of a toilet. This is the teacher's lounge toilet at Dalat University. 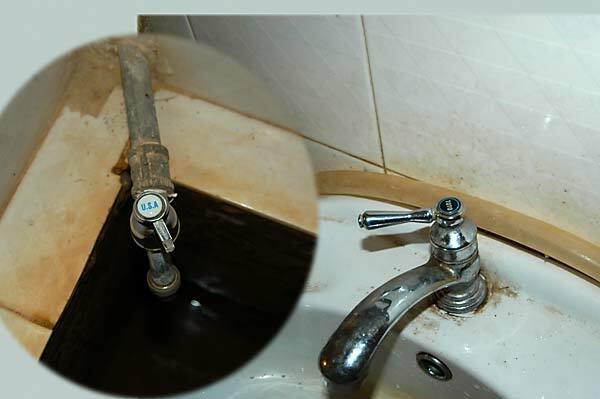 It's a squatter and these are the faucets, one to fill the tub from which you scooped water to flush the toilet and the other was for the sink in which you washed your hands, and you better have brought your own tp and be prepared to wipe your hands on your pants. What caught my eye was the labels. USA and Toto (a major manufacturer in Japan). The invaders leave their mark. 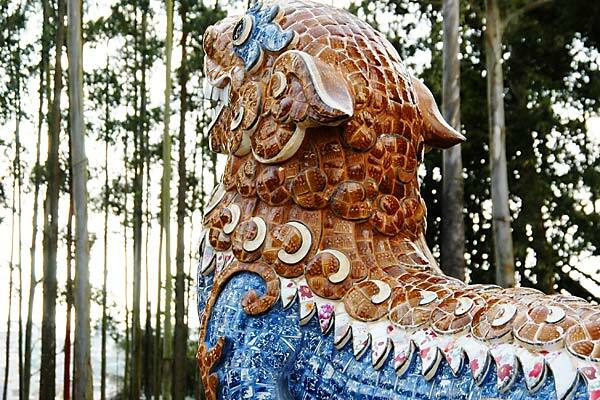 Here we have a guardian creature of the Linh Son Pagoda. 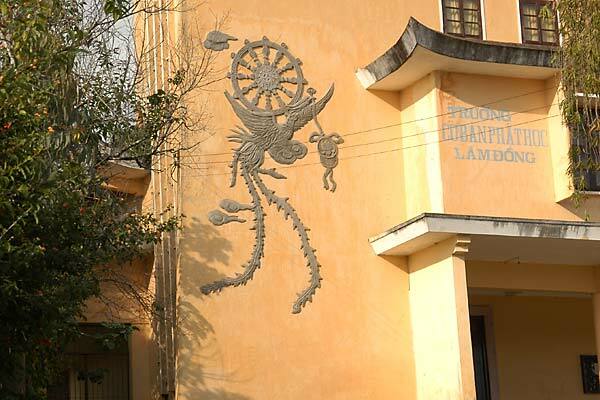 He's covered with a mosaic of pottery which is a common means of decoration both North and South. Four-Up! It is so hard to catch these multiple riders because number 3 is usually hidden behind number 2 and you don't know you've got four-up until they pass. I've even seen five-up when the kid in front is smaller and Mom is carrying an infant. So 1) Dad says look! 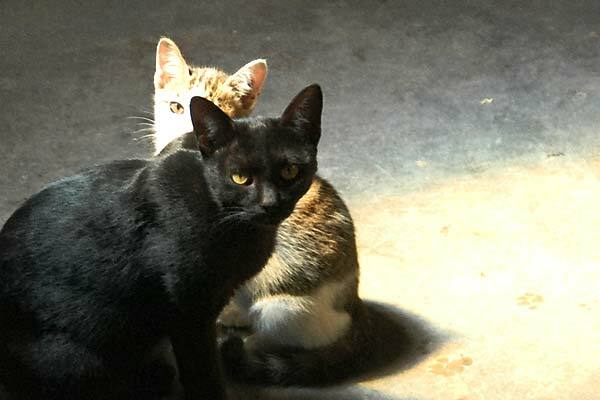 someone is taking our picture! 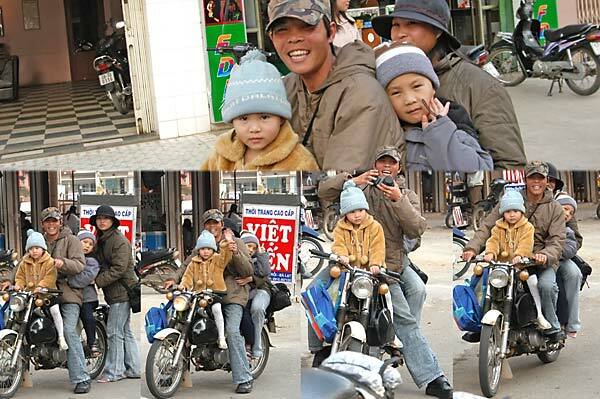 2) Dad waves the girl's hand and the boy gives off the V. 3) but wait! I'll take your picture too! 4) And they're off. I woke up hungry to read a good newspaper and drink coffee and eat some toast so I decided my best chance at the International Herald was at the Sofitel, the toniest hotel in town. I hung around here from 10am until late afternoon. They had a couple of newspapers, last week's Time and Newsweek, and photo books and history books too! Here's the view out their front door. I slept in my cosy $10 room and then spent another $10 to enjoy the day here. Weird. 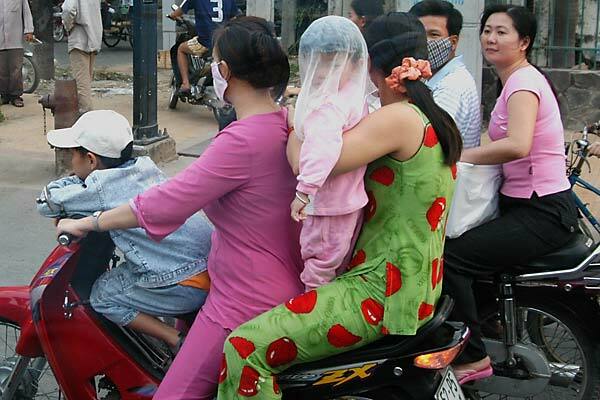 OK, I'm off in the morning, back to HCMC to eat and catch the tour to Cu Chi Tunnels and to the Cao Dai Temple. 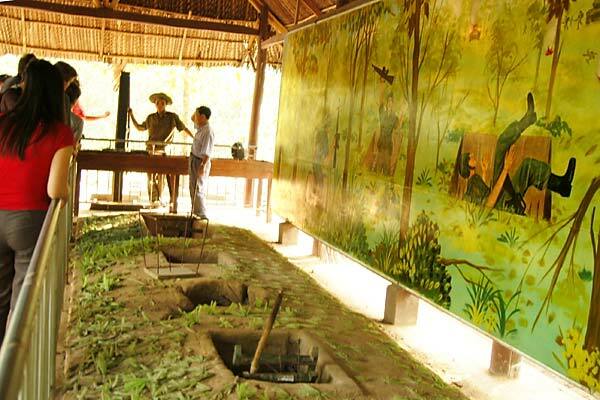 Here is a Major Recommendation: read Tunnels of Cu Chi by Mangold and Penycate. You won't be sorry. Read Neil Sheehan's A Bright Shining Lie first though. 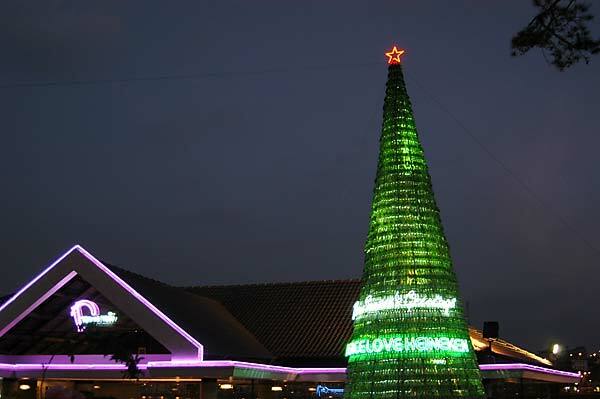 Can't resist a January 11th Heineken bottle Christmas tree with a commie star and the message PeaceLoveHeineken. 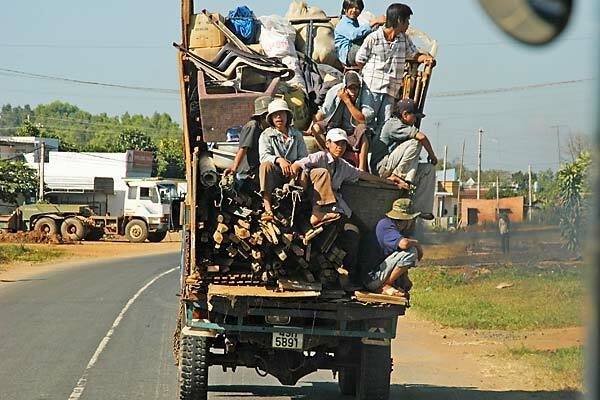 On the long bus ride from Dalat to HCMC. It wasn't that it was far but it surely was slow. They said buses had very strict speed limits on this route but I'll tell you little kids on bicycles were passing us by. Maybe we passed these guys though. Count 'em. Eight. A tractor is pulling that trailer. 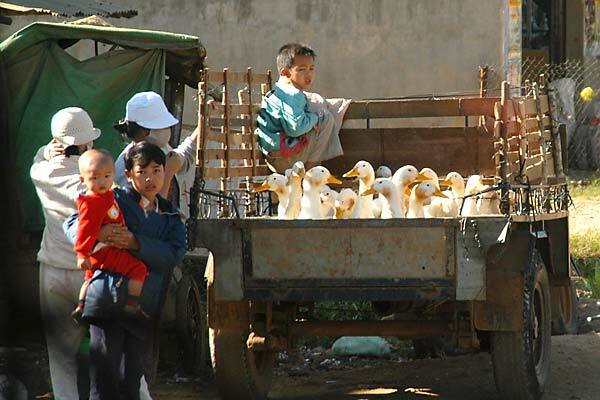 I read an article in the Vietnam News about bird flu and it all doesn't jibe with what I'm seeing but to share - raising chickens and waterfowl is still forbidden (but maybe not everywhere? ), more than 4 million birds have been killed since October (the world or just Vietnam? ), a massive inoculation program of all birds is almost complete. See, it all doesn't jibe because here they are. 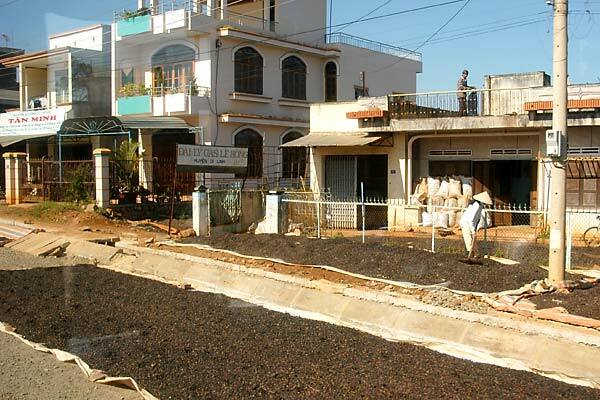 Those are coffee beans drying using the same technique from the rice growing areas where they lay out these mats in every open spot including parts of the road. 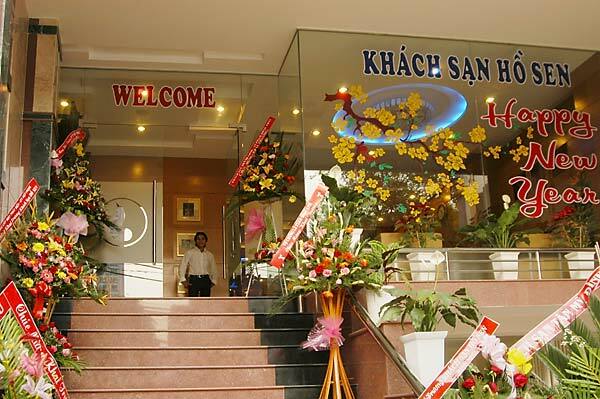 I didn't make a reservation because I had spent so much time in HCMC I thought no problem, I know several places to stay - but guess what - all full up! Whooo. In knocking on doors, here we go, a brand new place, just opened in fact, and they are so happy to see me I get a great rate And a great room. So cool. 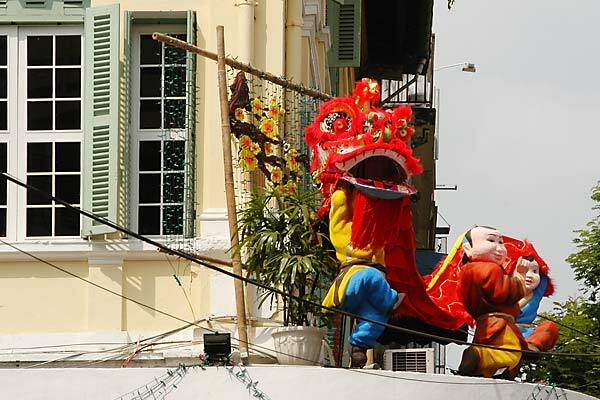 It's morning back in HCMC and all the Santas that decorated every surface a few weeks ago are now replaced by dragons. 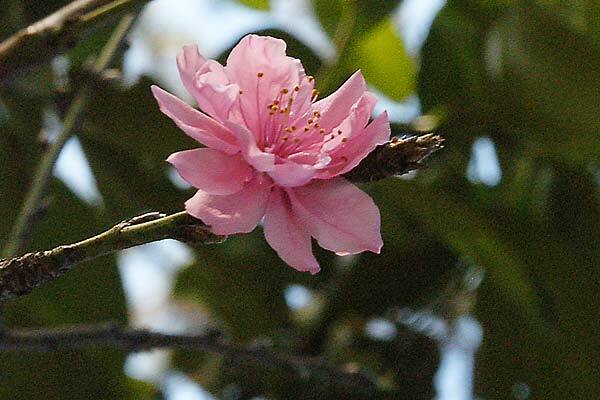 It'll be Tet soon, another lucrative opportunity for commerce. A Grand hotel. 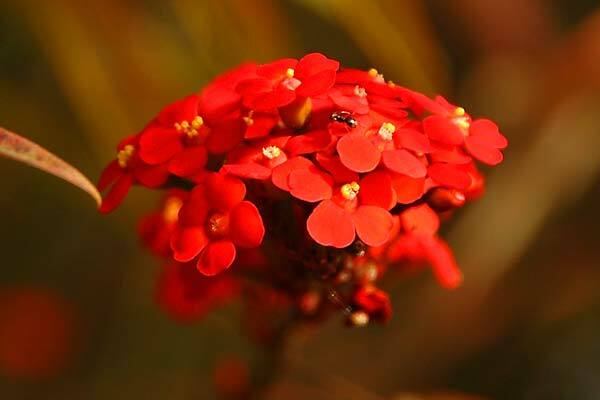 Those branches with blossoms are also part of the Tet decorations as are flowers, flowers are big at Tet, and red - all sorts of red things. 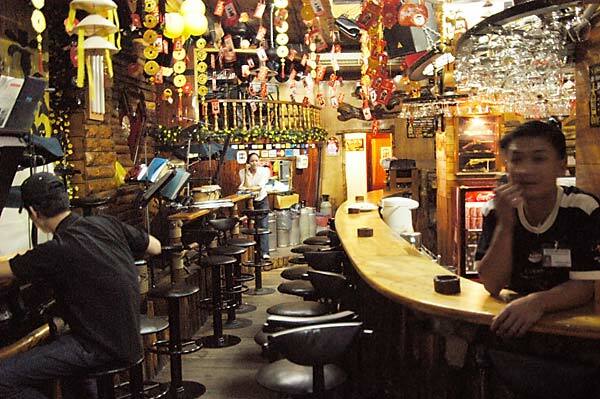 The guys at the bar. 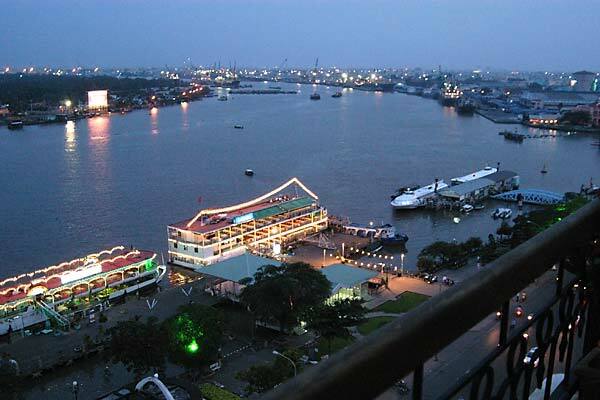 A view of the Saigon River from the terrace of the Majestic Hotel. 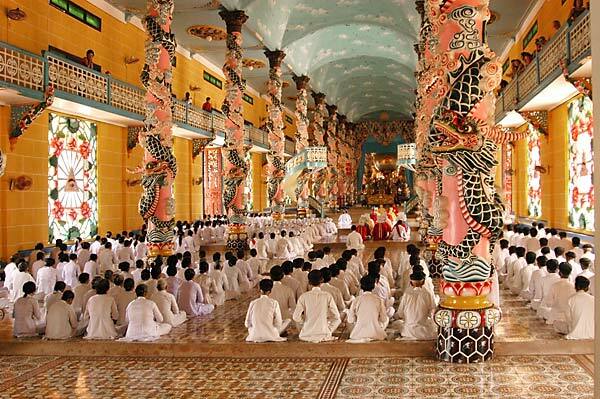 And now for my last day of touring in Vietnam, first to the Cao Dai Great Temple at the Holy See in Tay Ninh. 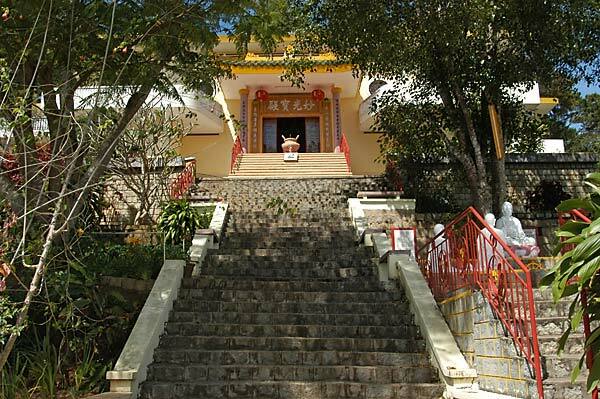 Cao Daism was founded in 1926 by a local born mystic who received The Word in visions beginning around 1919. 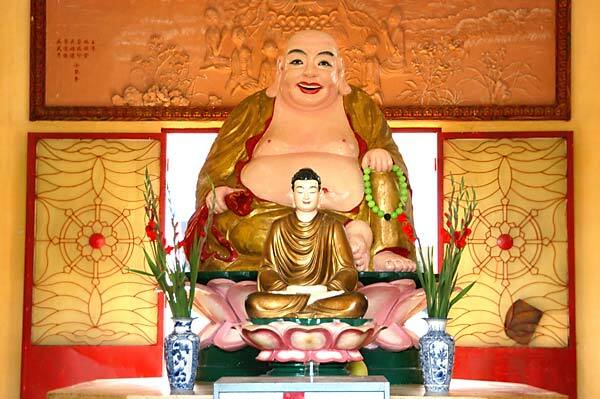 'Cao Daism is the outcome of an attempt to create the ideal religion through the fusion of secular and religious philosophies of the East and West. They are writing 'God and Humanity' and 'Love and Justice'. 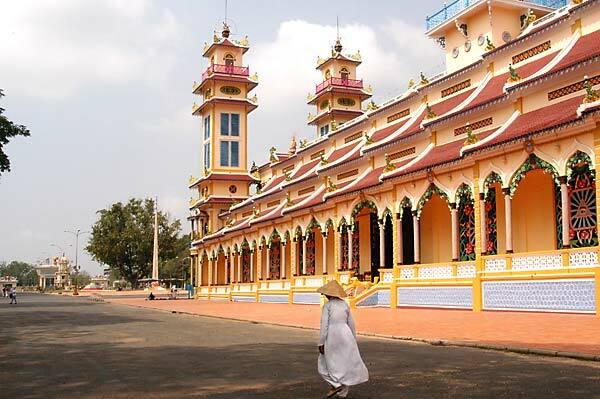 The Cao Dai were a very powerful force in the area, 'a virtually independent feudal state in Tay Ninh province' with an army of 25,000. 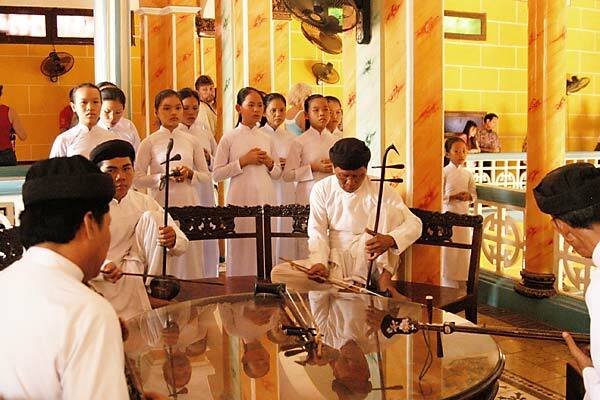 Beginning in the 50s the adherents were persecuted by the Catholics who dominated the regime in the South and by the Communists alike. 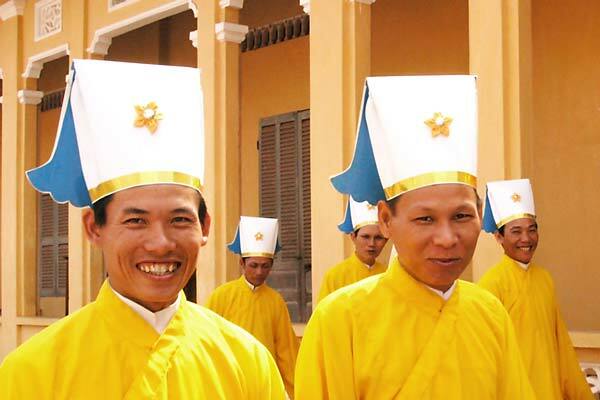 The Cao Dai army was incorporated into the South Vietnamese Army in 1956. 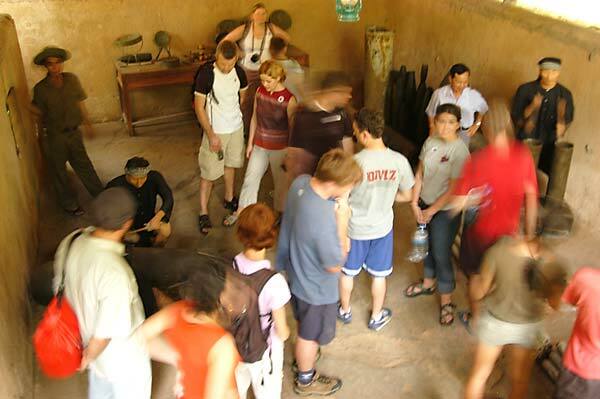 Next stop is a visit to a touristafied section of the Cu Chi Tunnel system. 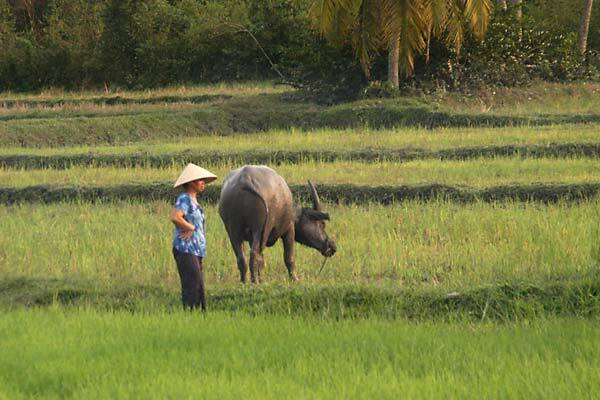 During the war with the French the Vietnamese began building tunnels to move about the countryside undetected and by the time the Americans came in they had perfected the system beyond our imagination. 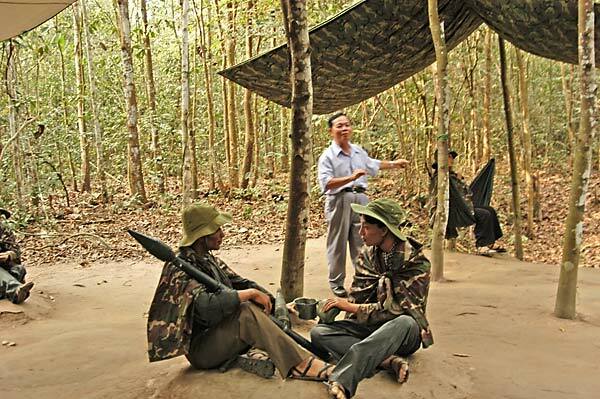 A repeat recommendation: read Tunnels of Cu Chi by Mangold and Penycate. You won't be sorry. Read Neil Sheehan's A Bright Shining Lie first though. They claim over and over that these are 'real' tunnels simply enlarged for tourists but LP claims otherwise. It doesn't really matter that much I guess. It is so true that Westerners are just plain huge people in comparison. 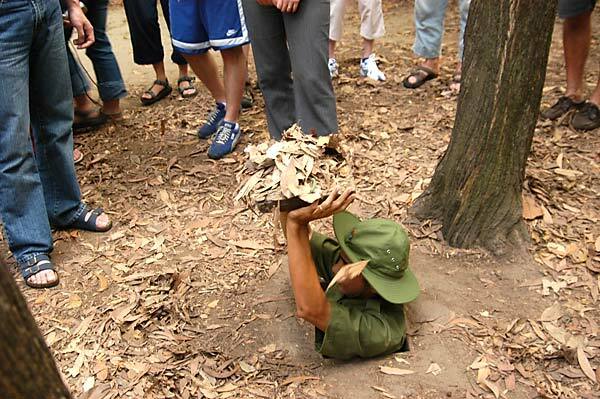 Once I started noticing (from reading Tunnels of Cu Chi) I couldn't stop noticing. Huge, giants I tell you. I'm afraid it was a pretty hokey tour. These are model guerillas hanging out in camp. Notice the tour guide there. He told us he had worked for the Americans and how he had sold everything and taken his family as boat-people to escape but were returned three times so he stopped trying and settled down to make some money. I heard this same story from many others. LP says the vast majority of boat people were the ethnic Chinese merchant class who both had resources to leave and the most to lose if they stayed. I kept forgetting to ask someone who might actually know. Here we have a display of booby traps. Yikes. Above the samples you can see pictures of GIs getting caught. 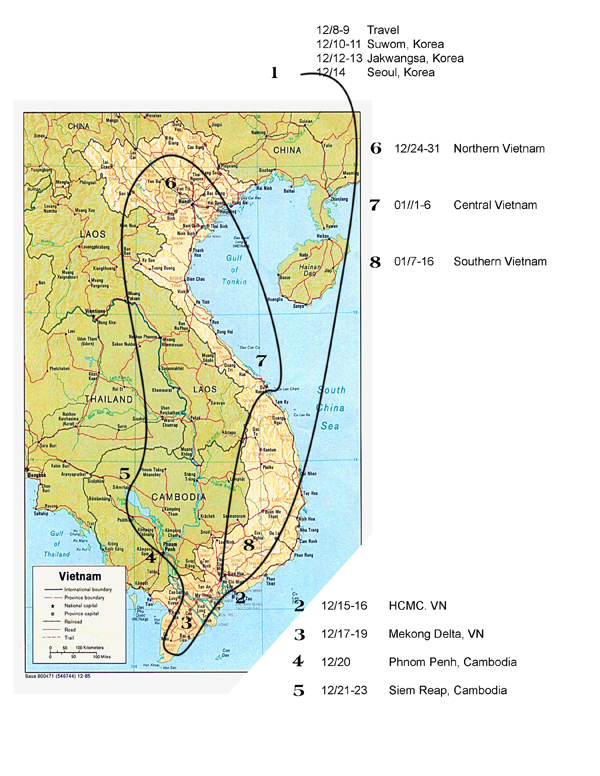 Most of Tey Ninh and Cu Chi provinces were in an American Free Fire Zone and ended the war looking like a moonscape. All the trees in this tour area are imports from Australia brought and planted here because they were most resistant to the chemical pollution that pervaded the region. This displays something like one of the homemade arms facilities the VC built underground. There were also hospitals, kitchens, meeting rooms, and everything else you need to get by. Thousands of fighters lived for years underground in conditions ten thousand times worse than this. Americans are a surprisingly (to me) small percentage of the tourists. 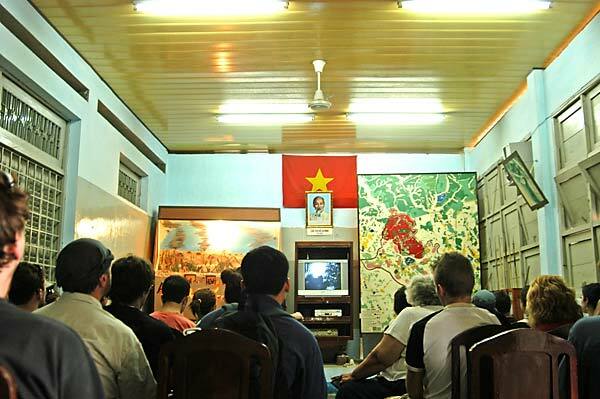 Hideously, one guy, one of the three Americans in this tour, asked if Ho Chi Minh was dead. Curiosity is good. Ignorant tourism is bad. 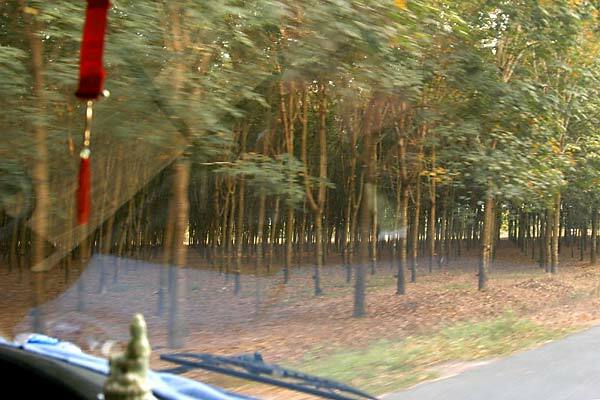 Rubber trees just outside HCMC. 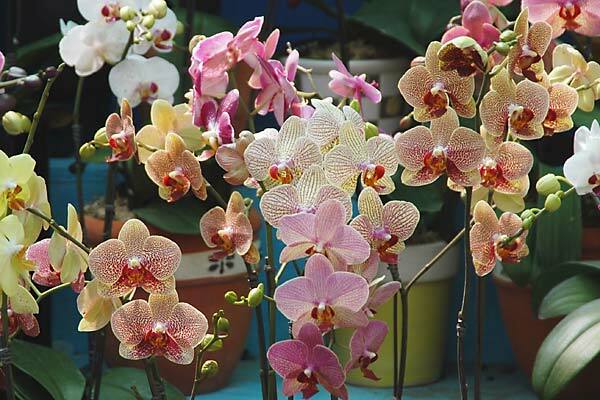 Rent 'Indochine' and be treated to some amazing scenery. Close your eyes for the icky parts. What will it be like in 10 years? I'll have to check back! Now I'll be goin' home. Wow, it all worked just great. Wow. It was a long ride home. At the Korean Air check-in counter in HCMC I hear, 'oh, we've been trying to reach you... there's been a change...' so instead of the 16 hour trip I booked I was out there for like, ever, but on the up side the flights weren't bad and they gave me a lounge pass so during the 6 hour layover I could eat and drink and sleep in peace. Flying into LA this morning was wonderful. It was one of those Perfect Perfect LA days - sparkly bright, crisp, and Crystal Clear. Gorgous. Me, I'm over the wing on the aisle of a full flight and couldn't catch a shot. But I'll be carrying that view in my mind for keeps. Home Sweet Home. Seoul and Suwan, HCMC/Saigon, the Mekong Delta, Phnom Penh, Siem Reap and the Angkor complex, Hanoi, Halong Bay, Hue, Hoi An, Nha Trang, Daltat, back to HCMC and the Cao Dai Temple and the Cu Chi Tunnels. Don't all those names just give you a shiver!